Classic Industries offers a wide selection of Filters, Lines & Hoses for your Chevrolet Bel Air. 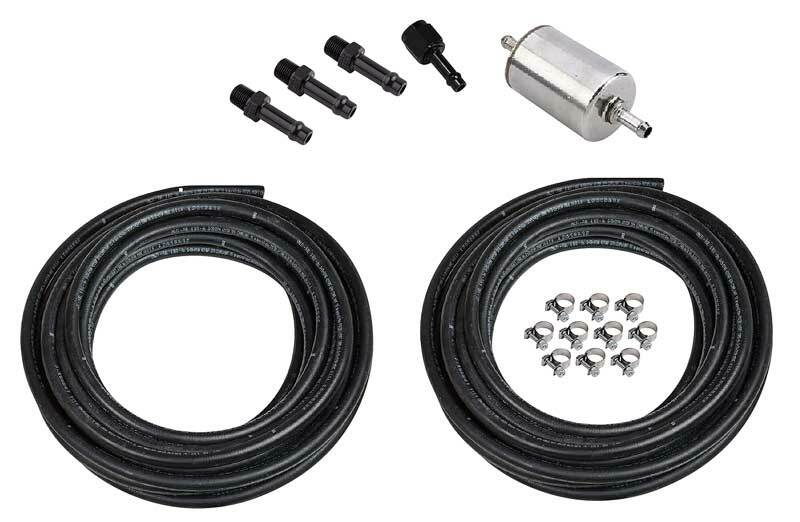 Classic Industries offers Chevrolet Bel Air Aftermarket Carb Lines, Chevrolet Bel Air Aftermarket Fuel Lines, Chevrolet Bel Air Fuel Clamps & Hardware, Chevrolet Bel Air Fuel Filters, Chevrolet Bel Air Fuel Hose, and Chevrolet Bel Air OE Fuel Lines. Chrome plated copper dual-feed fuel lines for Holley carburetors. Manufactured with seamless copper tubing and double flared at the ends with 5/8"-18 inverted flare inlets. 8-21/32" center to center. 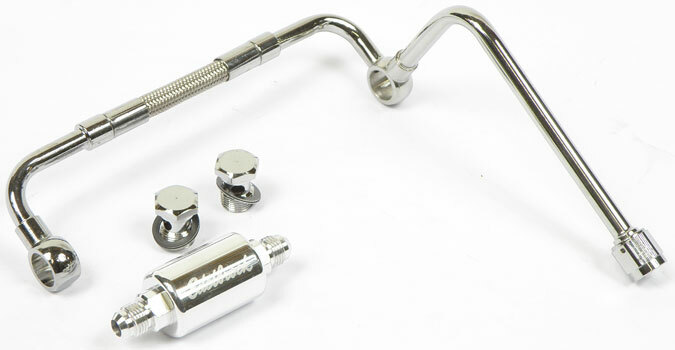 Chrome dual-feed fuel line for use on Holley carbs with 9-5/16" inlet center to center. Offers stainless steel construction for a performance appearance and long lasting dependability. Will replace the original exactly. Black anodized, billet aluminum adjustable fuel line for use on Holley 4150 & 4500 carburetors. This line is manufactured with -8 AN inlet and 3/8" NPT port at the rear end with 7/8" -20 threads for the fuel bowl inlets. Replace your incorrect worm gear clamp on your classic with this correct clamp. Sold individually. 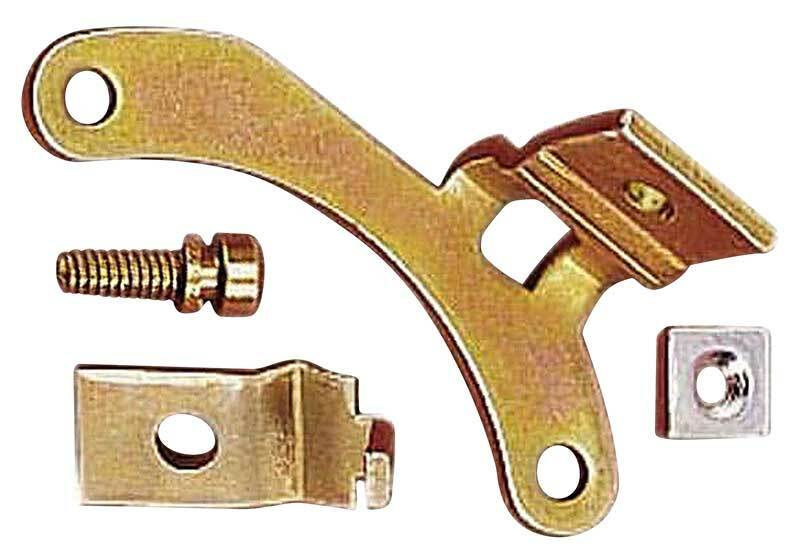 This cable clamp kit is for use on Holley model 4010, 4150, and 4160 carburetors only. Chrome plated copper dual-feed fuel lines for Holley carburetors. Manufactured with seamless copper tubing and double flared at the ends with 5/8"-18 inverted flare inlets. 9-1/4" center to center. 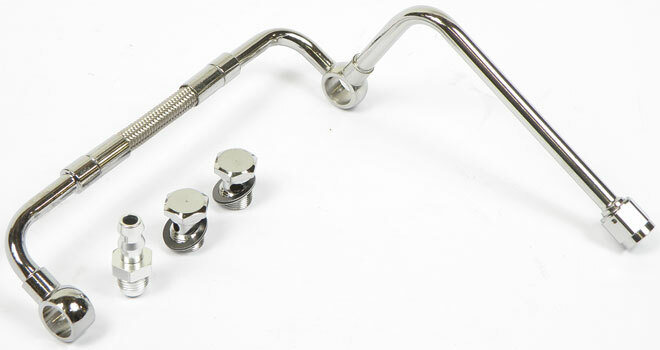 Chrome dual-feed fuel line for use on Holley carbs with 8-21/32" inlet center to center. Offers stainless steel construction for a performance appearance and long lasting dependability. Will replace the original exactly. 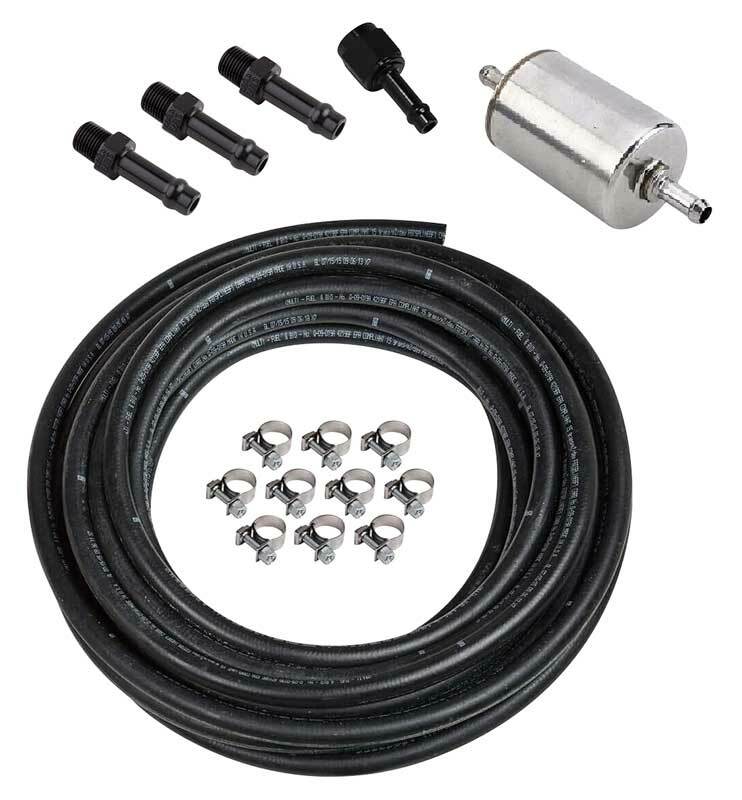 Correct replacement fuel hose for use on all models equipped with 4 bbl. carburetors with vapor return lines. 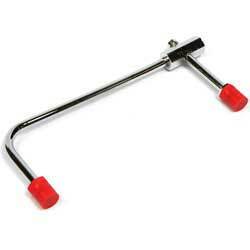 Includes correct 3/8" fuel line and 1/4" vapor return line hose with 4 mounting clamps.  The correct fuel tank filler hose clamp for 1957 Chevrolet models. Features cadium plating.